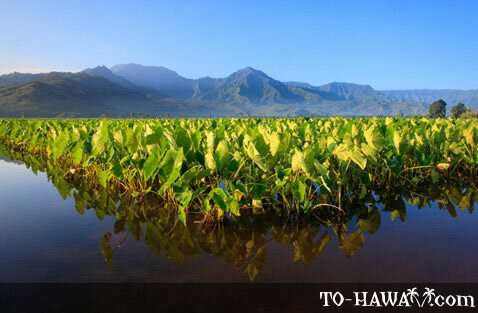 Taro was an important plant for the ancient Hawaiians. It was a main staple. All parts of this marsh plant are edible, from the starchy root to the spinach-like leaves. The root is cooked and pounded into poi.